While the robo-traders play tag with the chart points, it is worth considering how it will all end. 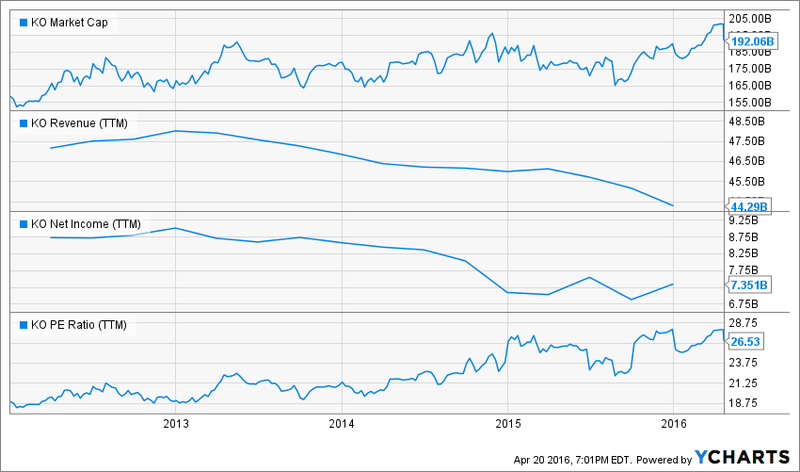 After all, at today’s close the broad market (S&P 500) was valued at 24.3X LTM earnings per share. That is, valuations are in the nosebleed section of history, but financial history has tumbled into the sub-basement of future possibilities. Stated differently, every first year spread-sheet jockey knows that what drives LBO models and NPV calculations is the assumed terminal year growth rate. Get imaginative enough about the possibilities out there, and you can come up with a swell return on today’s investment even if the next few years look a little rocky—-or even alot so. So never mind that earnings have fallen five straight quarters and at $86.53 per share are now down 18.5% from their September 2014 LTM peak. Also ignore the fact that this quarter will be down 10% and that there is no rational basis for a rebound any time soon. But somewhere behind the robo-machines which line the casino there is a corporals guard of carbon units buying what Wall Street is dumping. And whether they know it or not, at 24.3X they are betting on one whopping big terminal growth rate on the far side of the deflationary turmoil now afflicting the global economy. Here’s the thing, however. The current deflationary wave is not a one-time detour which will pass in due course. Per the above analogy, we do not have merely two years of bad numbers in a 10-year LBO model with a robust terminal value at the end. What we have, instead, is merely the initial shock waves from the actions of central banks which are trashing the joint. Lurking on the other side, therefore, is unfathomable risk, not extraordinary growth. In a word, the stock market is not worth even 15X its current earnings or 1300. At length, the carbon units out there catching today’s bouncing dead cats will thank their lucky stars if their losses are only 40% from here. The historical dead-end ahead is dramatically evident in the case of the BOJ and its lunatic detour into NIRP. And Japan is only following central bank policies recommended by Keynesians from the West and which are being followed, except for small nuances of degree, by the ECB and the Fed as well. The very last place on earth that can afford negative interest rates, however, is Japan. It’s an old age colony lapsing toward fiscal bankruptcy. In hardly a few years it will desperately need buyers for its government bonds who don’t count their wealth in yen. Yet Kuroda-san has just reiterated to the Japanese parliament that he can go deeper into NIRP if necessary or buy more securities under QEE——even if that turns out to involve upwards of $50 billion per year of ETFs in lieu of scarce Japanese government bonds. And “scarce” is hardly an adequate term. The BOJ is now buying more than 100% of Japan’s new fiscal debt issues, and those in turn account for nearly 50% of current spending. Yet after the madmen at the BOJ have purchased their monthly quotas, there are few bonds left to be found. So the 10-year government bond is trading at negative 13 basis points. It has become so scarce that there is occurring a comical chase for yield in what remains of the Japanese government bond market. To wit, in order to find “positive” yield Japanese institutional investors are racing out towards the very end of the yield curve, where they are scooping up 40-year bonds at a yield of just 29 basis points. That’s just plain hideous. Here is what the old age colony on the Pacific Rim looks like 40 years from now. 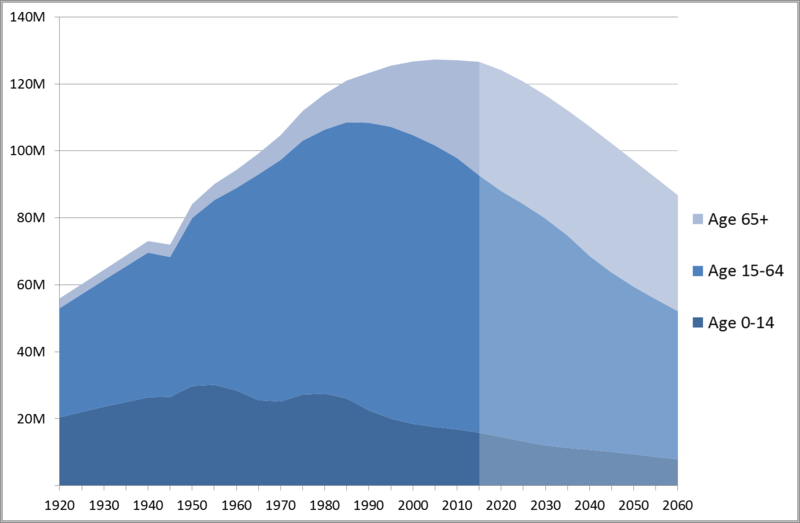 Already baked into the demographic cake is a40% reduction in the size of Japan’s working age population. Japan’s current working age population of 75 million is already staggering under the weight of current taxation and high living costs. But when it reaches just 45 million by 2060 the math will become prohibitive. In other words, the cult of ultra-low interest rates and the specious Keynesian axiom that prosperity can always be had with more debt is literally destroying Japan’s capacity for rational governance. In fact, what Japan needs is just the opposite of NIRP—–that is, high interest rates and unusually strong rewards for deferral of current consumption. 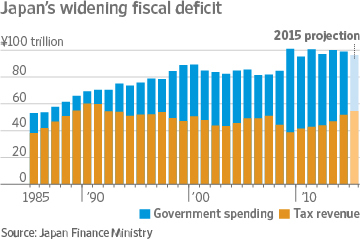 In preparation for its built-in demographic time bomb, for example, Japan’s politicians should be running fiscal surpluses. And they might be far more inclined if they faced the proverbial posse of bond vigilantes, not a herd of desperate bond managers chasing 29 basis points of yield into financial oblivion. 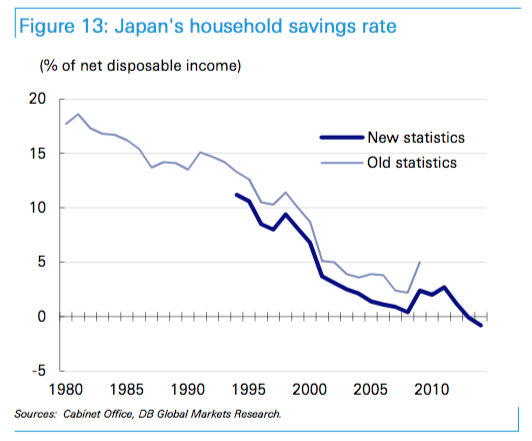 Likewise, Japan’s households should be salting away extra-ordinary amounts of savings, but just the opposite has occurred. By 2015 Japan’s famed high rate of household savings, which had been nearly 20% in the early 1980s, had hit the zero bound. So at some point not too far down the road Japan Inc. will need to borrow from foreigners, but there will be no takers at 29 basis points for 40 year debt owed by a an old age home that was once a nation. In short, Japan’s financial system is virtually guaranteed to collapse, making trillions of government debt worthless, among much other carnage. Yes, the BOJ might even cancel the trillions of JGBs it holds when the crisis becomes desperate in some Keynesian rendition of the Debtors Jubilee. But that’s just the point—-the mayhem on the other side does not bespeak a world in which terminal growth rates merit a 24.3X multiple. Indeed, when Japan becomes the first to default from too much Keynesian goodness, no sovereign bond on the planet will be investible at anything near today’s absurdly low yields. So the embedded losses in the world’s bond markets are already in the tens of trillions. The ridiculous state of Japan’s government bond market is explained more fully in a nearby post, yet there is nothing extraordinary about it. It’s all part of the daily fare emanating from all points on the planet. Another such dead-end is found in the story on the mother of all payables stretches now happening in the Red Ponzi. 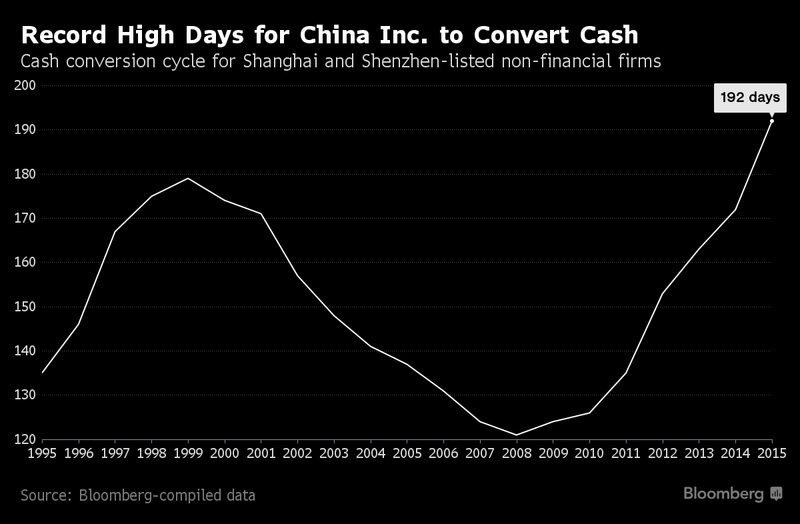 Struggling under $30 trillion of unpayable financial debt accrued during what amounts to a historical heartbeat of frenzied borrowing, China’s businesses are now coping with the inexorable morning-after deflation by means of a time-tested maneuver of last resort. To wit, they are attempting to pay their bankers by stiffing their suppliers. 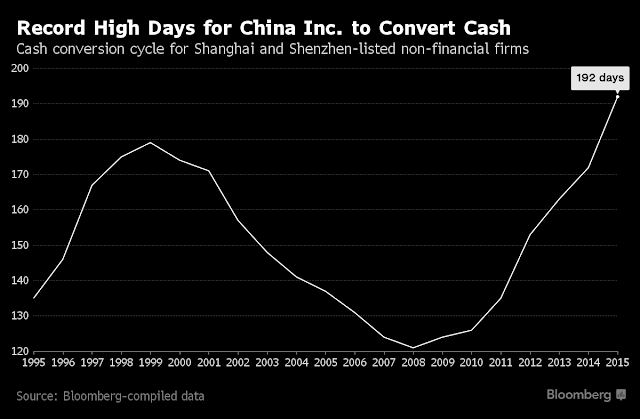 As shown below, payables now average an incredible 192 days in China’s business system. And that’s why its whole house of cards is likely to collapse with a bang, not a Beijing managed whimper. At some point, this daisy chain of billions of unpaid claims will far exceed even the capacity of China’s state-deputized bankers and its growing fleet of paddy wagons to keep in line. Indeed, this surge in payables has two untoward implications. The first is that the myth of Beijing’s capacity for omniscient and unfailing economic governance will be shattered. All along, it has been a case of mistaken identify—–a failure by Wall Street propagandists of “growth” to understand that doping out trillions of credit through a state controlled banking system merely funds recordable spending and delivers fixed assets; it does not generate efficient growth or sustainable wealth. But the red suzerains of Beijing are already proving in spades that when the music of credit expansion finally must stop, they will have no clue about what to do or capacity to execute if they did. In that respect, it now appears that in the first quarter China’s banking system generated new credit at a $4 trillion annual rate or nearly 40% of GDP. In turn, China’s so-called “iron rooster” was given a new lease on life as a result of even more artificial demand for capital investment and infrastructure that is already massively overbuilt. Accordingly, during March, China’s steel production hit an all-time high, causing prices to temporarily rise, and closed mills to re-open. So much for the credit restraint promised by China’s central bank and for the 150 million tons of capacity closures announced by the apparatchiks in Beijing a few months back. In lashing itself to Mr. Deng’s printing presses, the Chinese communist party made a pact with the financial devil. 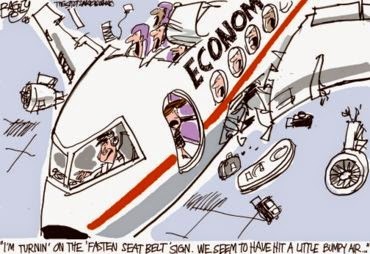 But now it is far too late to stop the Ponzi, meaning that another central bank driven debt implosion is fully scheduled and waiting to happen. Massive Chinese infrastructure investment created the temporary illusion of wealth while global debt levels grew relentlessly. The commodity curse then undermined real economic progress around the world, as elites chased diminishing surplus for patronage and popularity. This has left producers exposed; one – Venezuela – rapidly becoming a wasteland. In other countries, what limited democracy there was has been hollowed out, leaving Russia in a state of egregious industrial and demographic decline, and Brazil confirming stereotypes about Latin American corruption. All because the orders are drying up and the money has run out. Both Brazil and Russia are facing the possibility of imminent collapse. India, by contrast, is its own story, a perpetual tale of slow promise that plays tortoise to China’s hare. The only real story behind the BRICs was always just the ‘C,’ as in China, and the huge investment boom that powered commodity prices towards the fantasy of a ‘super-cycle’ – another word we don’t hear much anymore – drove the whole world mad. There was money for social programs in Brazil to lift up the poor, money for Putin’s new model army in Russia to restore imperial prestige, and money for the Olympics and World Cup in both countries. Then there was money for London palaces, money for Panamanian bank accounts, money for small wars and some leftover for the supposed institutions of a ‘new world order,’ since deferred. Only the most dunderheaded bull could argue that the US economy is decoupled from the entirety of China and the great EM supply chain which has feasted on its excesses. But for want of doubt, just consider its implications for another deflationary Q1 earnings announcement from this morning. To wit, Coca-Cola (KO) reported that Q1 sales were down 4% from prior year and that’s Coke’s 12th quarterly sales decline in the past 13 quarters. 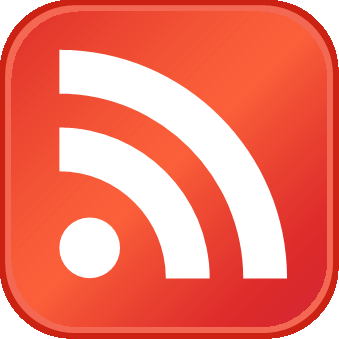 Likewise, net income fell by more than 5%. But KO is not trading at 27X earnings because the punters think America’s aging baby-boomers are going to suddenly reacquire a yearning for Coke. Instead, it trades at current nosebleed levels because they believe that the inhabitants of China and the EM in their billions will get hooked on KO’s sugary fizz. Needless to say, even a hint that the great China/EM credit boom of the last 20 years is rolling-over into a deflationary slump would swiftly drain the fizz out of the KO stock price. That’s because what lies beneath is deflationary financial results flattered by the wildly inflationary PEs now extant in the casino. 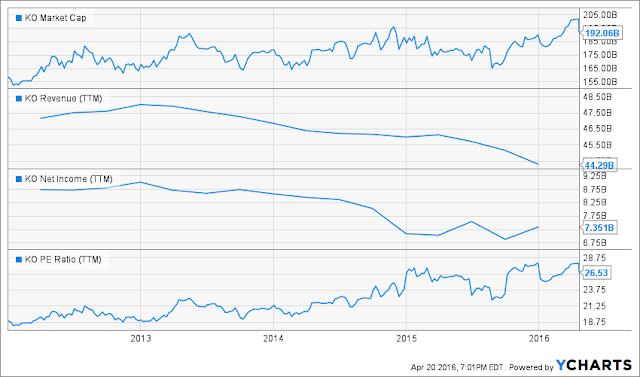 During the last four years, Coke’s sales and net income have steadily declined. Yet its PE has surged from an already hefty 17X to 27X. That is, going backwards it generated $50 billion of higher market cap. 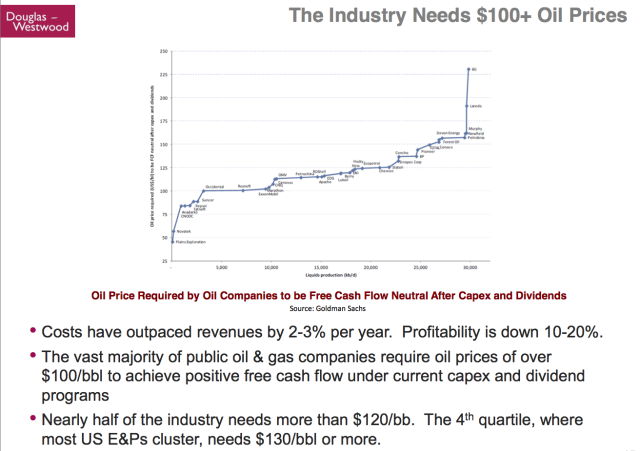 As we said, mind the terminal growth assumption. The warning signs are everywhere that what lies on the other side is not a world of 24.3X valuations.